320 GT is the size that lies exactly between the series sisters, 370 GT and 280 GT, combining their predominant characteristics, ideal for those who do not like compromising. 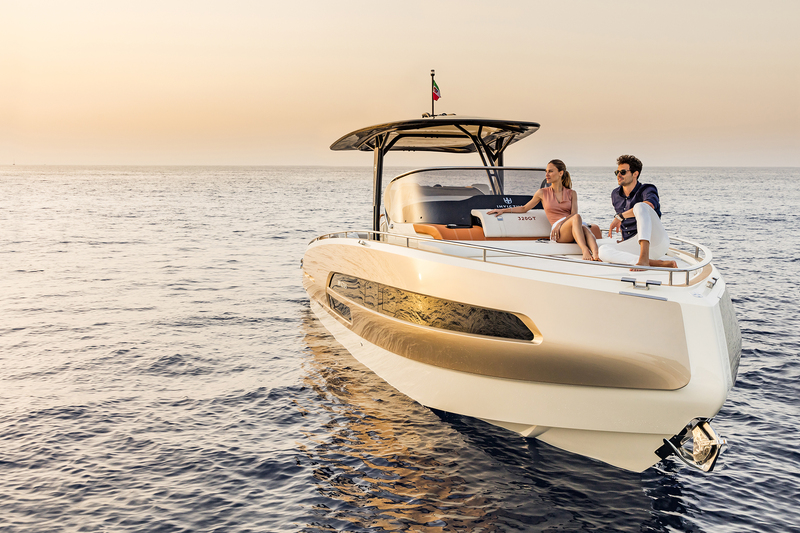 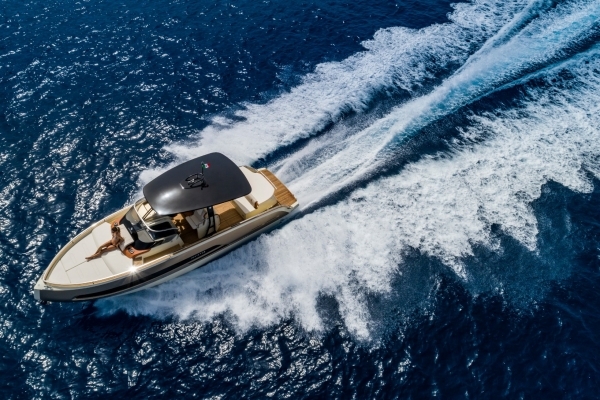 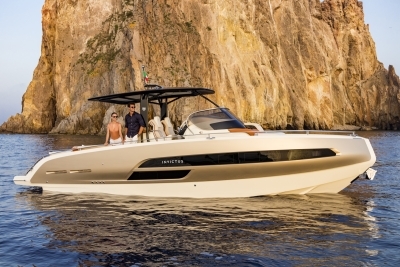 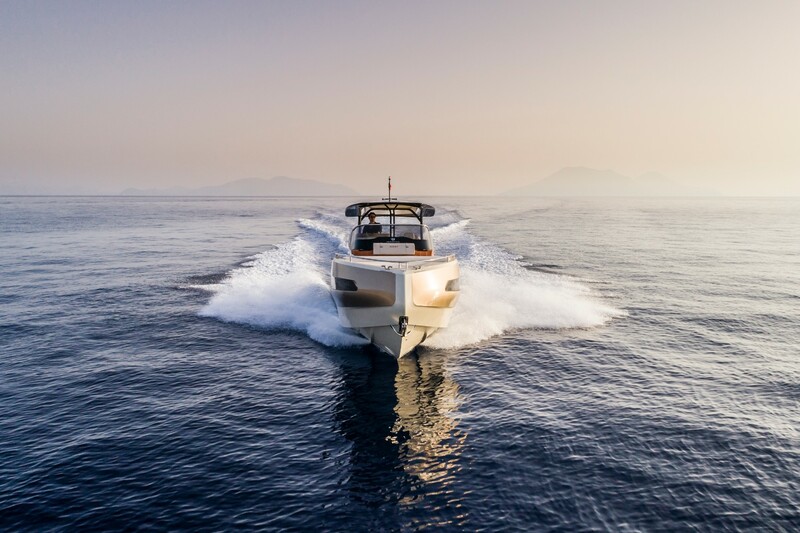 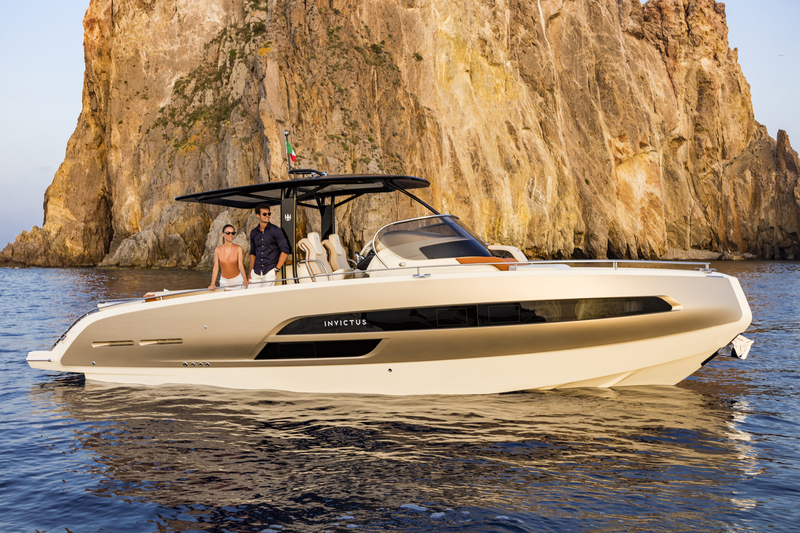 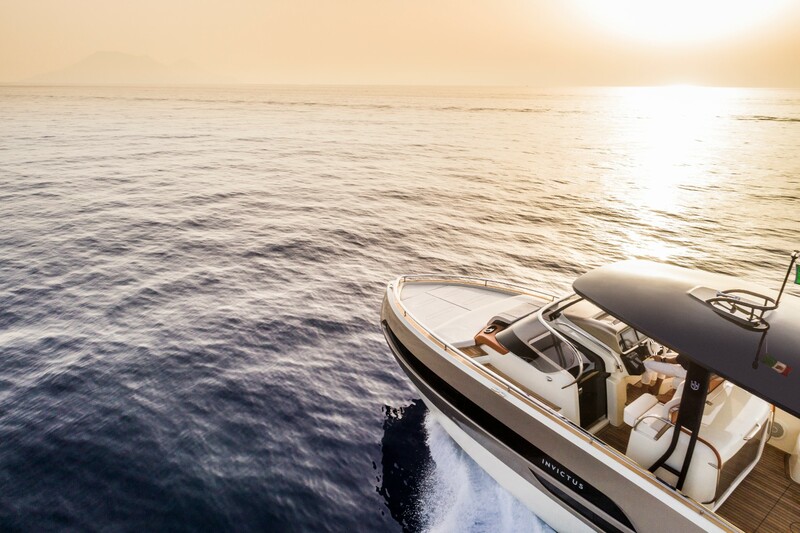 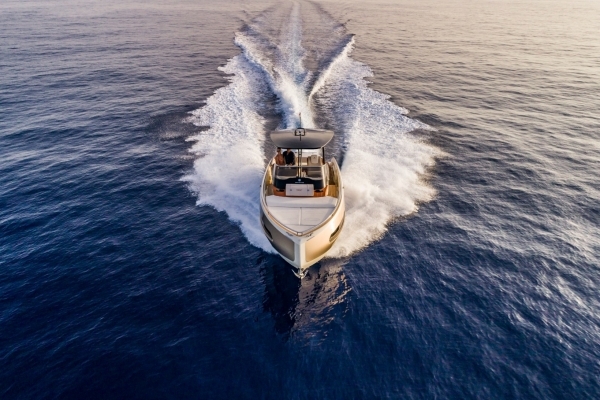 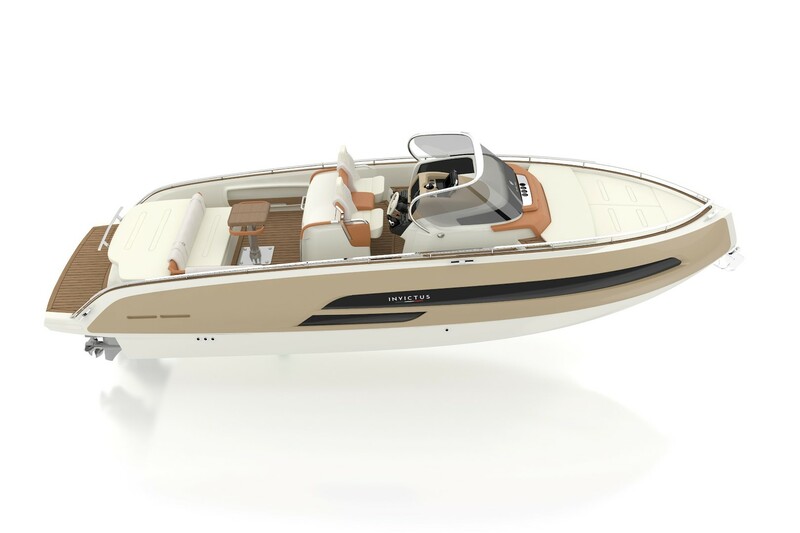 It can be equipped with a single engine, such as model 280 GT, but it is also the smallest in the Invictus range to be equipped with dual motorization, such as 370 GT. 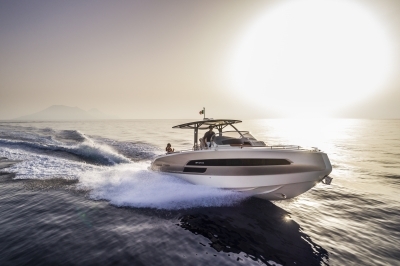 From the GT range, it has inherited the key styles, design, comfort and performance. 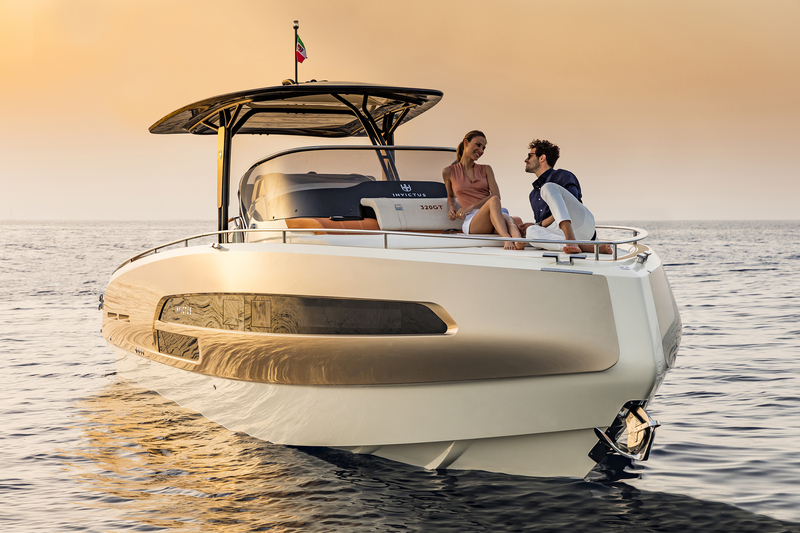 Rich material and strong character, volume balance and the elegance of the lines give back the distinct perception of beauty in every detail. 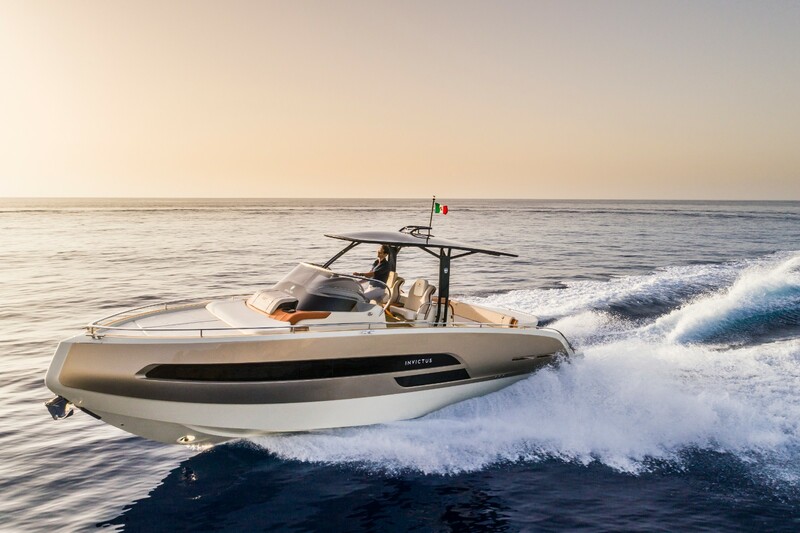 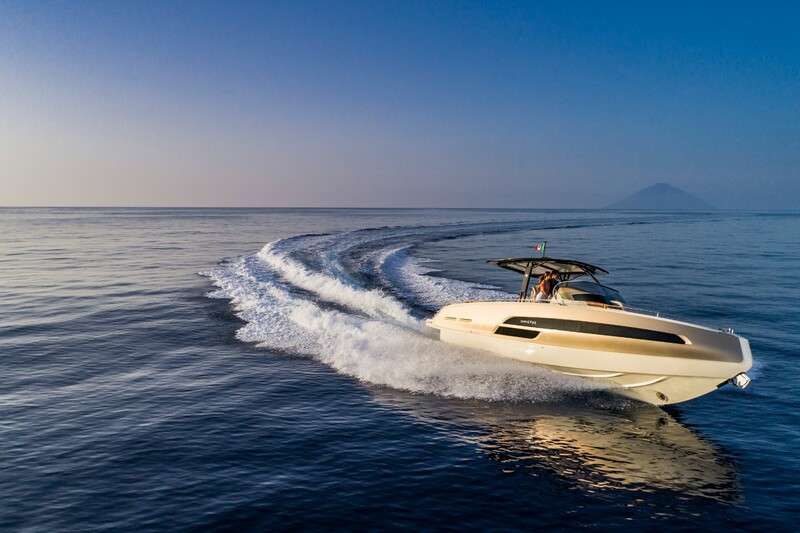 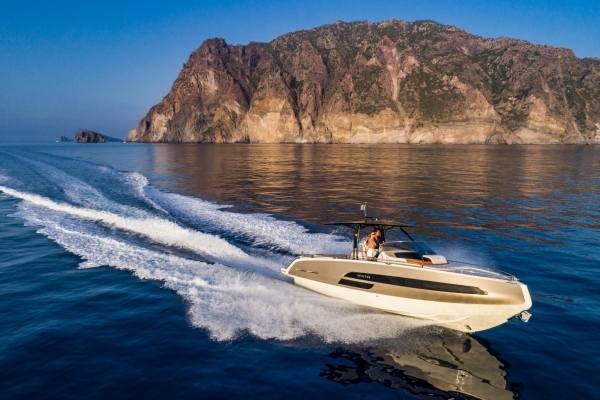 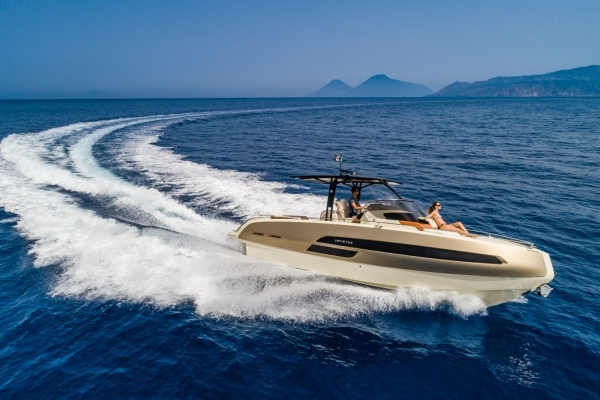 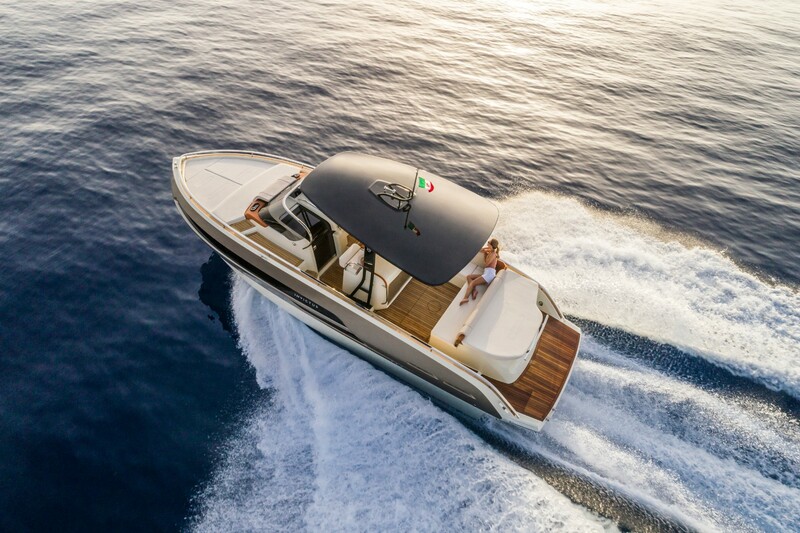 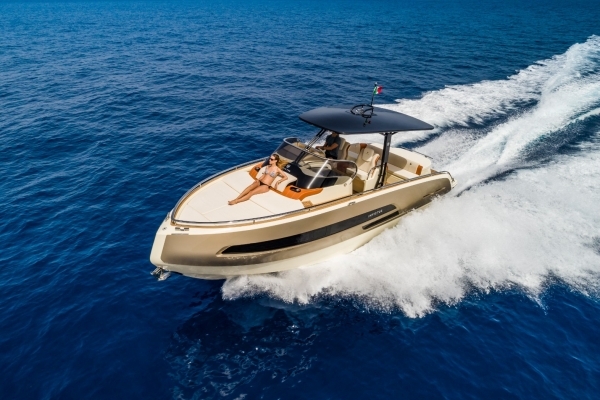 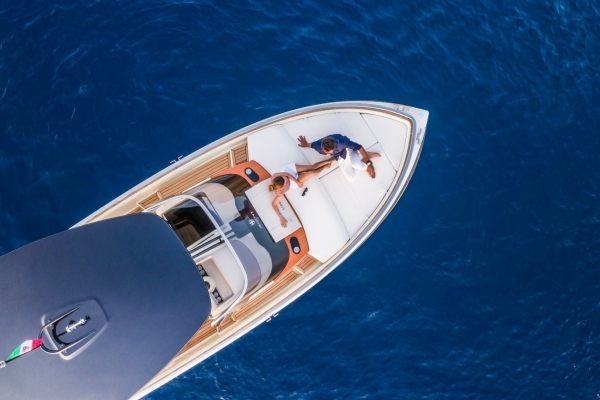 Its compact dimensions do not deny the stated intention of matching the typical luxury level of larger boats. 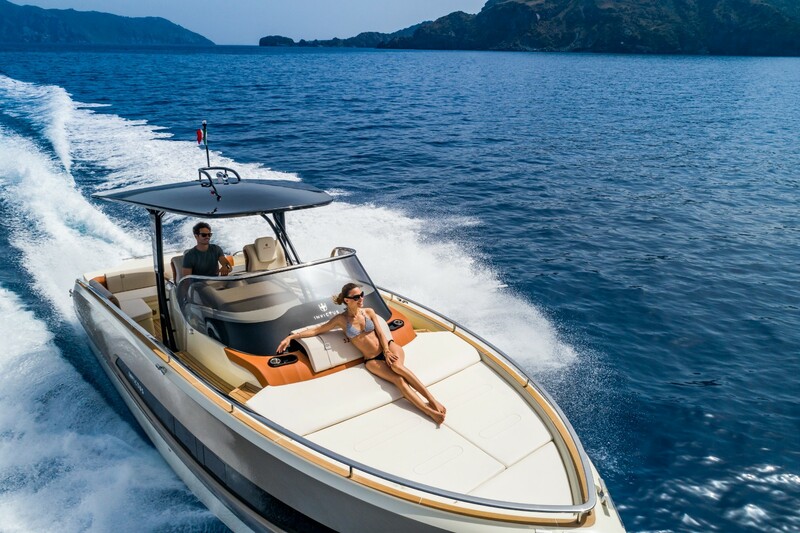 The most demanding ship-owners, seeking stylish, comfortable and performing boats will have nothing to give up. 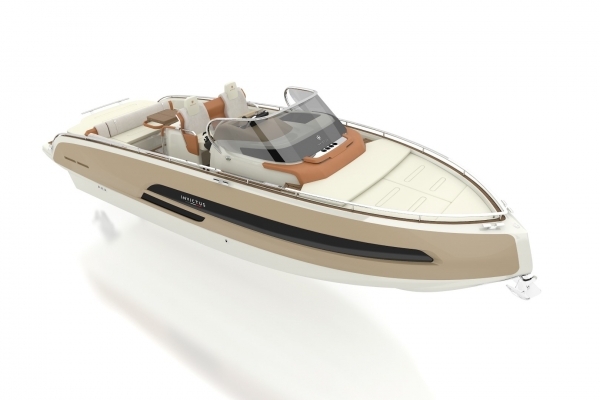 Also for 320GT accessories and equipment are customizable with Atelier Invictus proposals.